When it comes to Italy, you might think of Tuscany, Sardinia, Amalfi, the big cities and maybe Portofino and Cinque Terre, but you are missing one of the most wonderful regions: the Marches! While The Marches are completely unknown to foreign travelers, this region is mostly frequented by real Italians seeking for an affordable vacation and extraordinary luxury travelers who still try to find hidden spots - let's say someone like us ;-)! To be honest the main reason for our travel to this region was not the food part in first instance. No, we were going the 300 kilometers from Verona for shoe shopping at the Tod's outlet. Since one of my passions is combining exhausting shopping with a bit of luxury travel, my colleague and me were staying at the wonderful yet historic Fortino Napoleonico in picturesque Portonovo, Ancona. 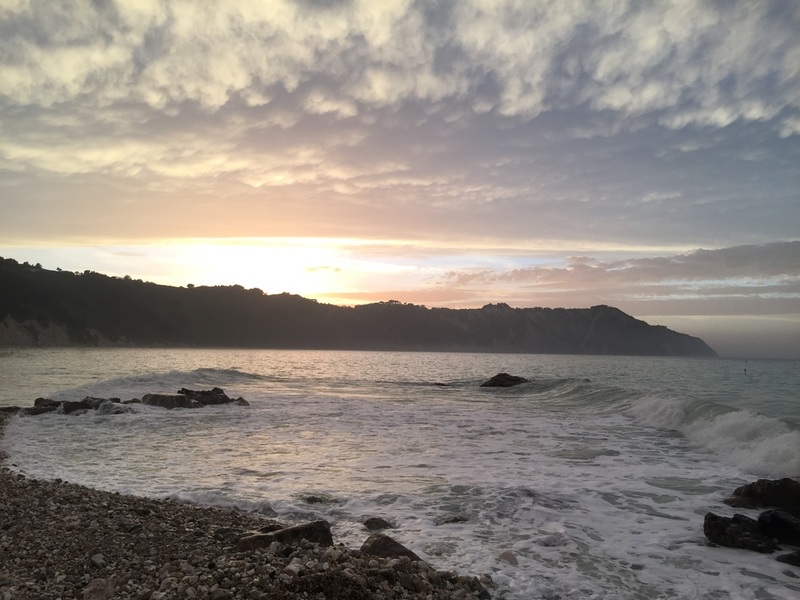 Let's just face the fact: Portonovo is a really small (I would not even call it town) place, offering four hotels, some restaurants AND - and that's why it is so famous - one of the clearest and least crowded beaches in Italy. Since a few years now, Portonovo got a wonderful new addition: A completely new restaurant by famous two-michelin-starred chef Moreno Cedroni. A restaurant by a two-star chef in the remote Portonovo? I guess our excitement cannot be described in words, however once we were ready for dinner we had to figure out how to get to the restaurant. As we did not want to take the car, we accepted the adventurous 1km walk through the natural park along a lighted road. At the end of a walking path, really in the middle of nothing (!) - pure nature and sea, we arrived at a cool and minimalistic looking restaurant. The entire staff moved towards the entrance to welcome us in the most welcoming way. After taking place on a lovely table on the window, the head waiter came and welcomed us personally before he began to introduce us to the menu, called "The Silk Road" - from Beijing to Venice. Our dinner began with "Kublai Khan" a refreshing sorbet made out of vermouth, fermented tea and spices. After the interesting and wonderfully composed beginning, we were served the first cold starter: a tartar of the famous fassona meat from Piedmont paired with a tartar of ricciola (a fish). While the both components would have been stunning enough, they decided to add a sauce of chinese cabbage, some coriander, apple squares and a bit of caviar. Wow would be the only word to describe this surprising course! 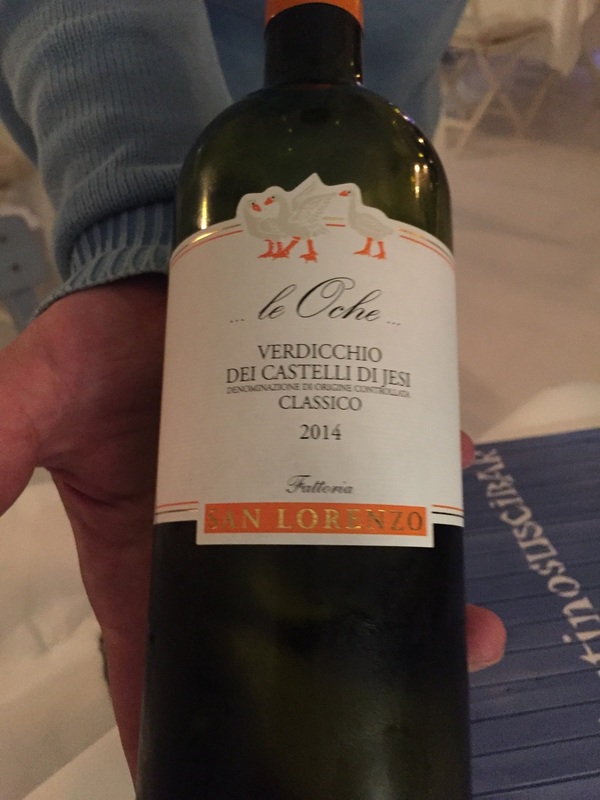 Before we even finished the sorbet, the head waiter brought us a wonderful bottle of local Verdicchio (the main wine of the Marches region and a one to remember). At an absolutely affordable price of 20 to 25 euros per bottle, we even considered to buy some directly from the restaurant! Before we could even take a closer attention to the wine, the next course arrived. 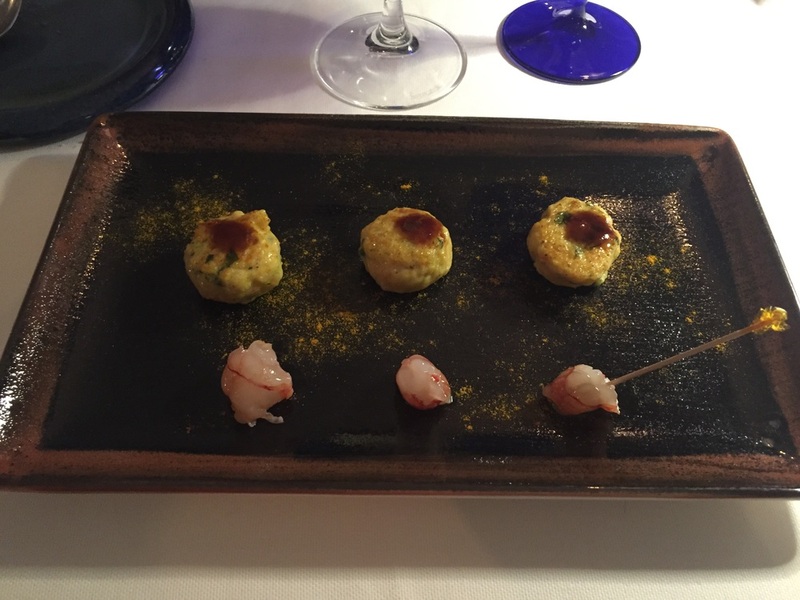 Meatballs made out of crab meat and spices, paired with delicious red prawns which first tasted sour and then sweet - simply impressive. Slightly after we arrived in "Teheran" and were served creamy dried salted cod with on purée with white sesame milk and violet fermented cabbage. A truly interesting dish which made us feel the Asian influence, with the Italian roots not getting lost. 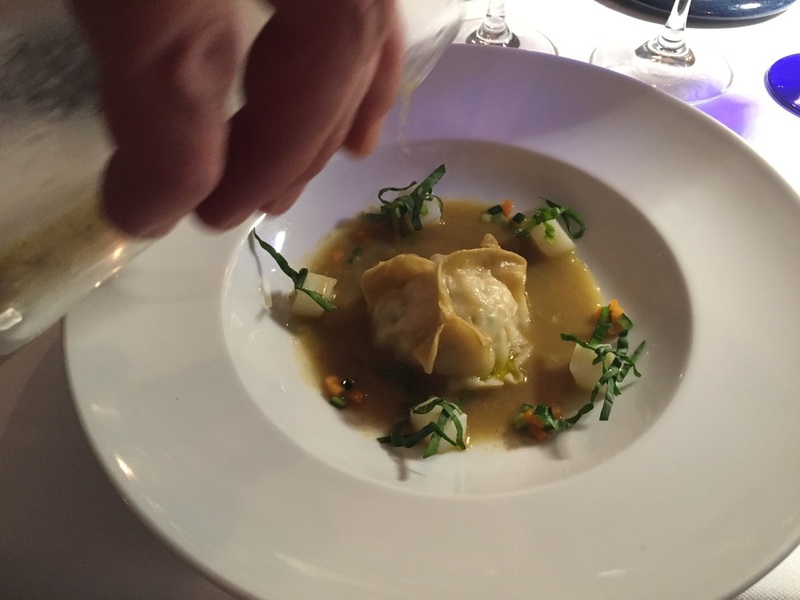 The next course was a dumpling of cuttlefish with a soup of the special "Mosciolo Selvatico di Portonovo" (comparable to shellfish but from the natural reserve around Portonovo) and cumin - a Mediterranean plant cultivated for its aromatic seeds. I would say this dish definitely reminded me of my super-expensive lunch at the 2-michelin-starred Yan To Heen at the InterContinental Hongkong. Finally, my colleague and me arrived in "Aleppo", well luckily just in terms of food, with our main course consisting of tuna fillet prepared with Masal which came on an eggplant prepared on Charcoal. You had to eat this dish together with a tea-like drink in the small glass next to the plate. I was totally convinced of the tenderness of the tuna! Before we could see Europe on the horizon, we got a yoghurt sorbet with cucumber and rose. The wonderful end of our dinner was made by "Marco Polo" himself - just joking. Of course it was also prepared by the enthusiastic team of young cooks. However the name slightly showed us the location: we arrived in Venice and our trip along the Silk road was finished. A wonderful composition of italian gelato, crumbles, rhubarb jam and a soup of laurel, was definitely the last dish for the night. After a small chat with the lovely staff members, we staggered back to our fortress for the night and saw some wild pigs running over the streets - well Benvenuto in Portonovo. So you see, a dinner at Il Clandestino is not even a long travel, it also comes with some unforgettable experiences! We loved it and will be back sooner than we think. We were exclusively invited by no other than Moreno Cedroni himself, and we really have a new favorite place to dine in Italy now. All above written expresses our own opinion and reserving a table there is really necessary, even if not in high season.